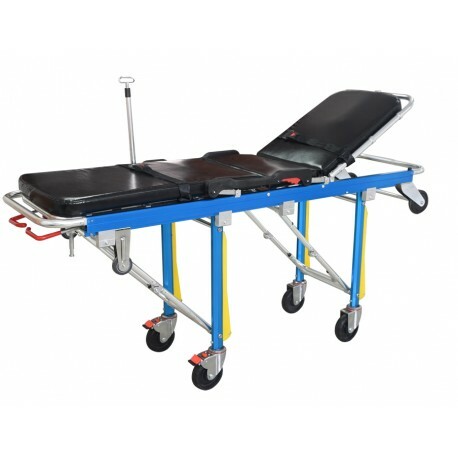 This heavy duty pro series loading stretcher is made of high-strength aluminum alloy. It is easy to operate and load into a vehicle. Comes standard with collapsible side rails, vehicle locking device to secure stretcher during transport, mattress pad and patient securement straps. The mechanical foldaway legs are controlled by the handles on the operator end of the stretcher, allowing for one person to load and unload into a vehicle with ease. High Position: 77" x 22" x 33"
Low Position: 77" x 22" x 11"
3) Carton Size (1pc/carton): 78"X25"X12"